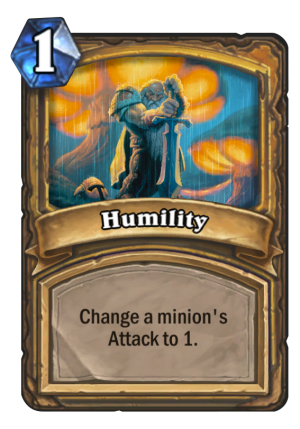 Humility is a 1 Mana Cost Free Paladin Spell card from the Basic set! 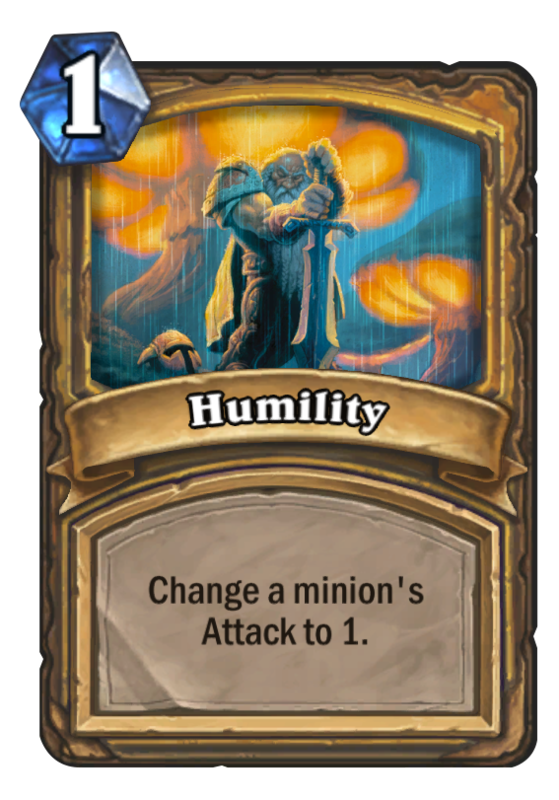 Change a minion's Attack to 1. This card makes something really damp. Oh wait. That's "Humidity." Rating: 2.5/5. From 90 votes.